The former Leeds United boss has emerged as a candidate to succeed Neil Lennon. Hibernian are holding talks with Englishman Paul Heckingbottom as they look to find a successor to Neil Lennon. 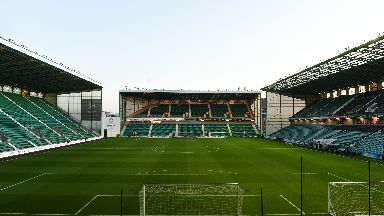 Representatives from the Easter Road club travelled to England this week for discussions with a number of prospective candidates. Heckingbottom was one of those spoken to and there are further talks planned for later this week with a deal possible before the weekend. The 41-year-old, who had a 16-year playing career in England, has held two previous management positions. After acting as caretaker boss at Barnsley the coach was given the job on a permanent basis in 2016 and led the Yorkshire club to a ninth-place finish in the Championship. He took over at Leeds in February of last year but lasted only four months in the job and was succeeded by Marcelo Bielsa at Elland Road.